Educate. Train. Inform. These are three critical elements we focus on when providing access to the Synergis resources listed below. We know our customers have choices, and we’re glad they choose Synergis when it comes to finding an Autodesk support resource to help them stay up-to-date on the latest technology, tools and tricks. And we are adding new support resources to complement our offering and meet customer needs. 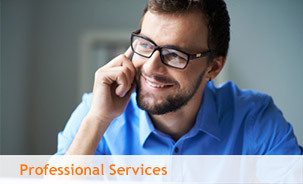 Not sure what software or services you might need to move your business forward, or if you need any at all? 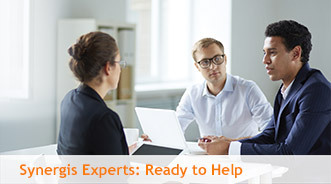 We established the Ask an Expert program to make our Solutions Consultants available to you for free, 30-minute consultations to answer critical questions about the technology and tools that can help your business stay ahead of the competition. Synergis is an Autodesk Authorized Training Center (ATC), hosting on-site, classroom and virtual training for clients nationwide. From essentials to advanced, Synergis training is available for every level learner. Synergis partners with industry technology providers, trade associations, our customers and technology partners to regularly host or sponsor events year-round. Synergis treats every customer like a long-term partner – we’re in it for the long haul. Check out some of the challenges our customers faced and the solutions, like software, consulting and training, that Synergis delivered to help them stay ahead. Synergis holds monthly webinars on topics our customers are most interested in, including insider tips on how to maximize their investment in Autodesk products.